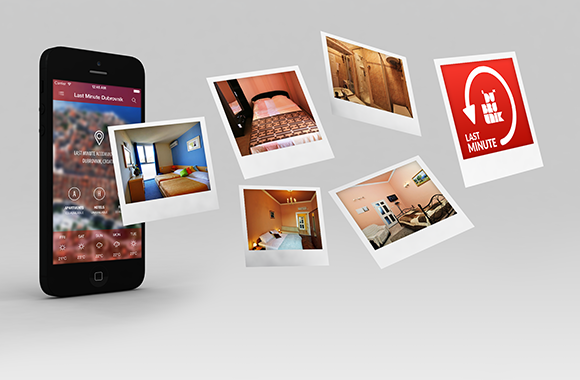 Planet 1107 » Last Minute Dubrovnik is your new accommodation finder app! Sometimes it’s hard to find proper accommodation for you and your friends and family, especially if you’re looking for it a couple of days before your trip to the wonderful city of Dubrovnik. 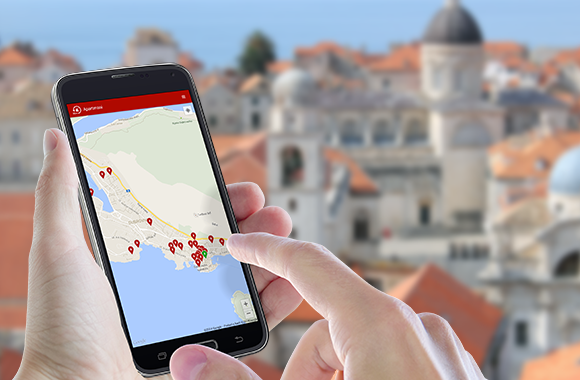 Last Minute Dubrovnik is our latest app we developed for Dubrovnik Tourist Board which will show you all accommodation locations; apartments, rooms and hotels around you. It will also give you more information about the unit you’re browsing – its price, address, photos, precise location etc. Accommodation locations are marked with a tooltip – green ones are available, while the red ones are currently occupied. You can browse through the locations via the map, or if you prefer, you can view them in a list. And to make things even simpler, there is the search option for easy finding of your ideal accommodation. Once you’ve found your perfect accommodation, you can contact the owner via SMS, e-mail or make a phone call – all within the Last Minute Dubrovnik app. Last Minute Dubrovnik is available for your iPhone or your Android device and it has a responsive layout so you can use it on different screen sizes as well as on tablet devices. This app was created in collaboration with Dubrovnik Tourist Board and they provided us with the valuable sets of information about local accommodation units. Additionally, we created the backend system as well and enabled renters to register their accommodations on their own. The renter can then edit and maintain it’s accommodations, upload photos of it and most importantly – update the availability of the unit so that users could have a real-time information on their screens. In addition, Last Minute Dubrovnik isn’t the first app Planet 1107 has created with Dubrovnik Tourist Board – Dubrovnik AR is a great way to browse Dubrovnik and its tales and legends. Last Minute App is available in English, Croatian, German, Russian, Japanese, Spanish and French and you can download it for iOS here and for Android here. You can also check out the TV report from NovaTV (Croatian only) in which our very own Nikša Vlahušić presented the Last Minute Dubrovnik app. We got some rather nice coverage (Croatian and some English) from RTL Television as well – check it out.